The fees are set to take effect Feb. 4 and range from $30 to $75, depending on the carrier. 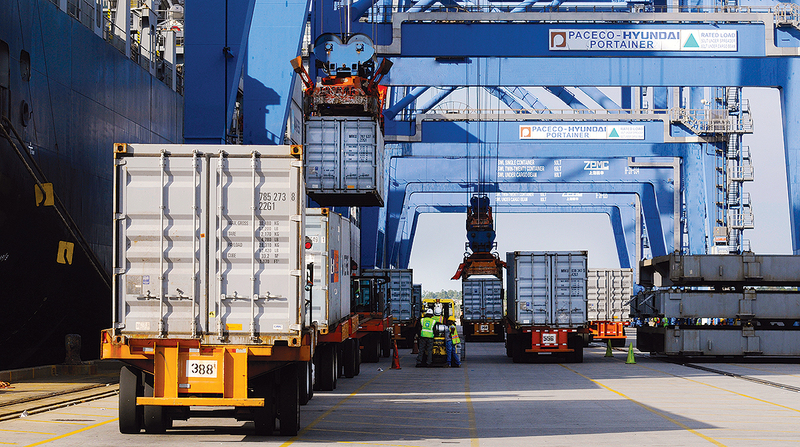 Historically, truck drivers have picked up fully loaded containers at ports and delivered the contents to a warehouse or intermodal facility without being charged a fee. The cost of using the ocean carrier’s container has been built into the shipping contract. Oftentimes, drivers would either fill the container with goods from that facility or another one and return to the port with a load to be exported. This is called a street turn. Under the new fee structure, ocean carriers will begin charging drivers the fee if they come back into the port with a loaded container. On top of the added expense, industry groups fear the fees will worsen congestion by clogging roads with trucks driving empty containers back to the ports simply to avoid the fee. The exchange of equipment between ocean carriers, truckers and other providers is managed by the Uniform Intermodal Interchange Agreement, which is administered by Intermodal Interchange Executive Committee. The 10-member group is made up of various industry representatives. Dave Manning, president of motor carrier TCW in Nashville and a member of the committee, told Transport Topics that the fees from ocean carriers Hyundai Merchant Marine and Zim American Integrated Shipping Services were put into effect without a roll-call vote since the committee’s administrative procedures did not require one. “We, the motor carriers, all objected, but we were told that because the fees didn’t conflict with language in the Uniform Intermodal Interchange Agreement, and because they are commercial terms they would be approved,” said Manning, who is also immediate past chairman of American Trucking Associations. The ocean carriers defend the fees by saying the revenue will cover the costs of the complex task of tracking their equipment, something they say the shipping industry has been absorbing for years. Weston LaBar, CEO of Long Beach, Calif.-based Harbor Trucking Association, told TT that street turns are seen as “low-hanging fruit” for terminal operators. “Every port authority that I talk to either has a plan or is looking at a plan to maximize street turns for exports in their gateway, and this is one extra thing that makes it difficult for truckers,” he said. It was not immediately clear how Hyundai Merchant Marine and Zim American will collect the fee. In a letter obtained by TT, Maersk informed its trucking customers that it will administer a $30 fee through a third-party software company called Avantida that handles empty-container management in the United States and Canada.